Salesforce unveiled Lightning Connect with the promise of allowing you to expose the data stored in your legacy data source into Salesforce in real time, without needing any migration. The only requirement is exposing such datasource through an OData endpoint. 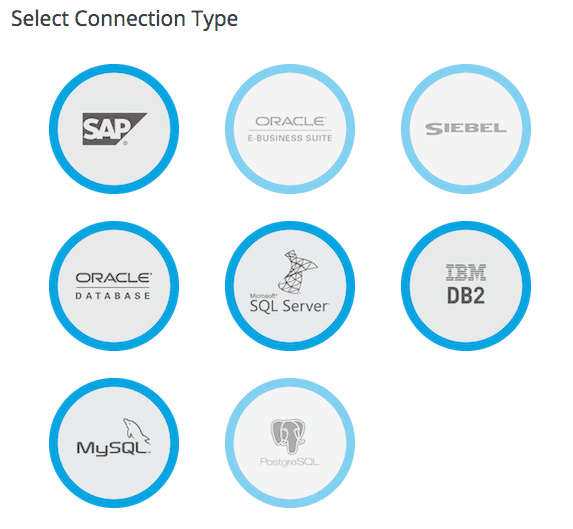 So you have your datasource on one end, and Salesforce supporting OData on the other. The question now is: how do you connect the dots? Anypoint Data Gateway is MuleSoft’s solution to connect those dots. Released as a Salesforce app (available at Salesforce’s appExchange), it allows you to quickly create a cloud based Data Gateway that exposes data from your legacy datasource as OData, and sets up your Salesforce account to consume it, all in less than 5 minutes. Get Anypoint Data Gateway from the Salesforce AppExchange and install it in your Salesforce organization. Once installed, go to the MuleSoft App in the menu, and select the MuleSoft tab to complete the initial login to the Anypoint Platform. You can even sign up for a trial account at this stage. Now you are ready to create your first Data Gateway. Let’s first define the connection parameters to the datasource. To do that, select your datasource type and enter the connection parameters. Is your database behind a firewall? worry not, you can use Cloud Extender during the trial phase to overcome this issue. Once the connection is created, you just need to complete the Data Gateway details and authentication credentials. It takes almost 2 minutes to provision and setup the Data Gateway. 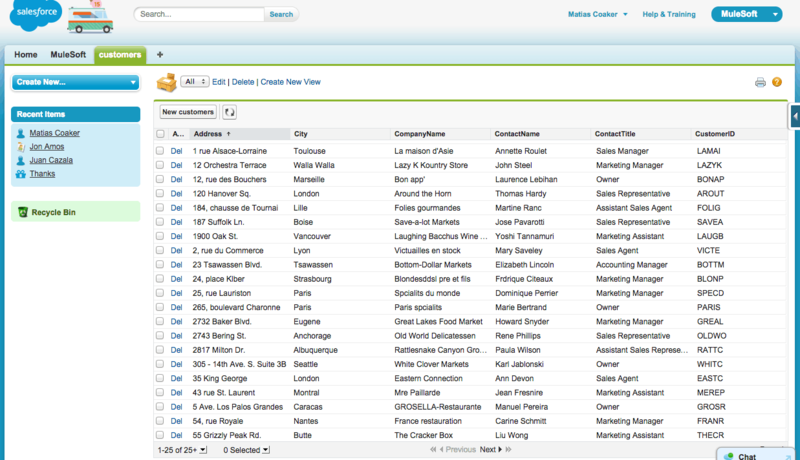 Now you are ready to pick the objects you want to expose through the Data Gateway and publish it to Salesforce. Done. 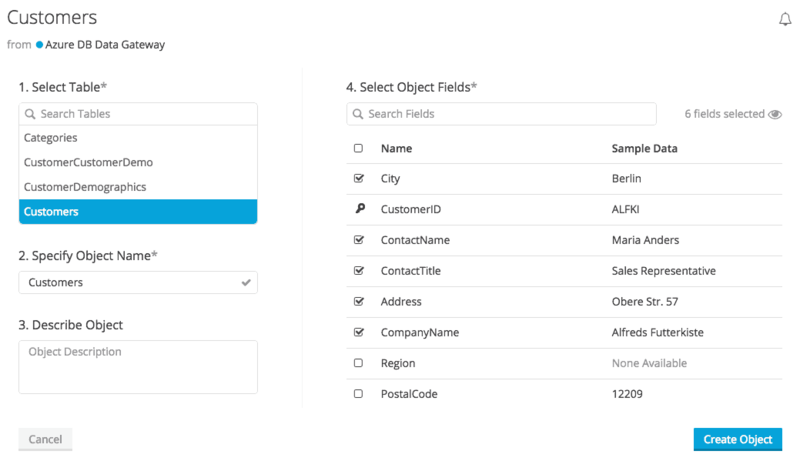 You have everything in place to see real time data in Salesforce now, by creating tabs or embedding the new objects in others. What has happened under the hood is that a new Data Gateway application has been created for you, to expose the objects you picked from your datasource as OData. While publishing it to Salesforce, a new External Data Source and a set of External Objects were created in Salesforce to enable it to consume your datasource. The Data Gateway Designer also allows you to do other things, like managing roles, business groups and environments, or submitting a request for a VPC. 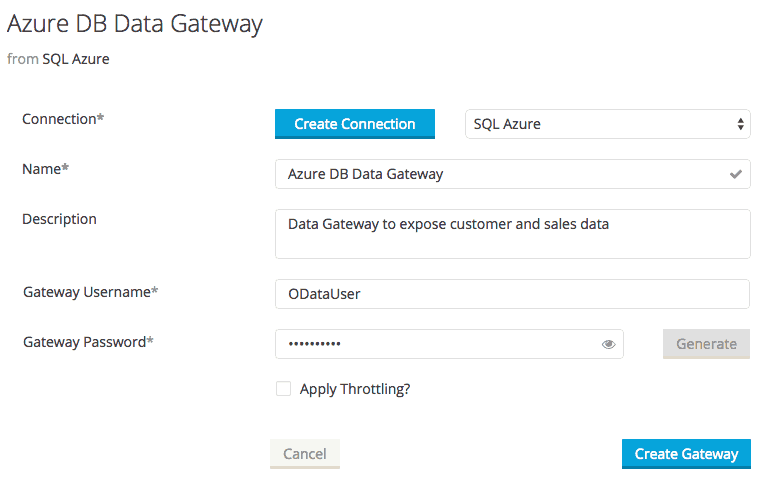 You can try Anypoint Data Gateway right now, just get it from the Salesforce’s AppExchange and connect your data source to Salesforce in no time. Great article. I was wondering if this solution still requires Salesforce Connect or not. I’m trying to download Cloud Extender using my trial account to access on-prem SQL server. But couldn’t able to achieve it. Could you assist on this?